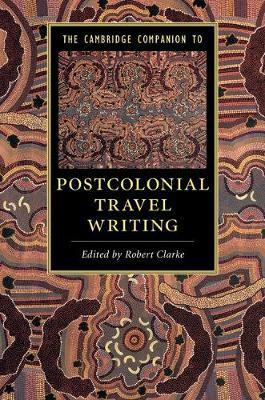 The Cambridge Companion to Postcolonial Travel Writing offers readers an insight into the scope and range of perspectives that one encounters in this field of writing. Encompassing a diverse range of texts and styles, performances and forms, postcolonial travel writing recounts journeys undertaken through places, cultures, and communities that are simultaneously living within, through, and after colonialism in its various guises. The Companion is organized into three parts. Part I, 'Departures', addresses key theoretical issues, topics, and themes. Part II, 'Performances', examines a range of conventional and emerging travel performances and styles in postcolonial travel writing. Part III, 'Peripheries' continues to shift the analysis of travel writing from the traditional focus on Eurocentric contexts. This Companion provides a comprehensive overview of developments in the field, appealing to students and teachers of travel writing and postcolonial studies.